Controls are editable in Arma via the CBA addon keys configuration. You must be in a game to change your keys. Use the knobs to change volume and channel. Alpha is on channel 1. The channel knob has 16 settings, the channels available is dependent upon the current group selected. By default: Group 1: Channels 1 - 16, Group 2: Channels 17 - 32, etc. The LCD display screen is where all menus and information will be displayed. The primary/default display screen has two 'modes'. These are detailed in the graphic above. Left and right clicking the function switch will cycle between the 1st 6 preset channels on the radio. Additionally this can be used to turn off the radio by placing the switch in the left most position, turning it back to any of the channel positions will turn the radio back on. 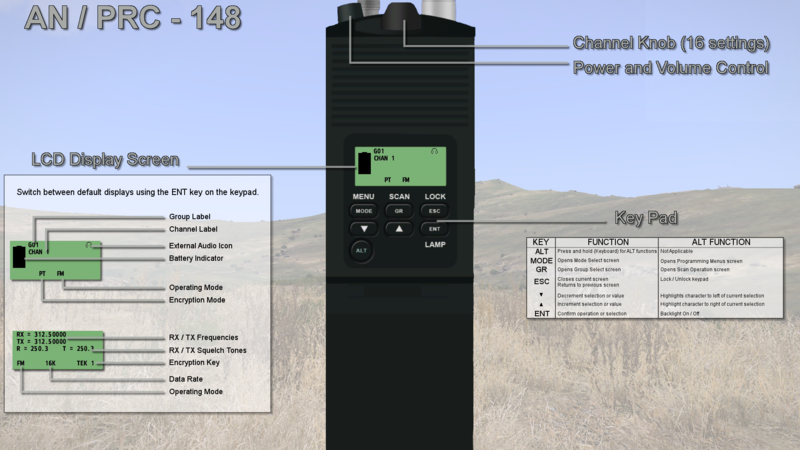 The radio volume can be adjusted using the volume control button on the left hand side of the radio, above the large press to talk key. Left clicking on this will increase the volume, while right clicking will decrease the radio volume. The volume setting will be displayed on the LCD screen when you use this button. Click PRE +/- to change between channels. Alternatively, you can use the top knob to switch between channels 1-6. 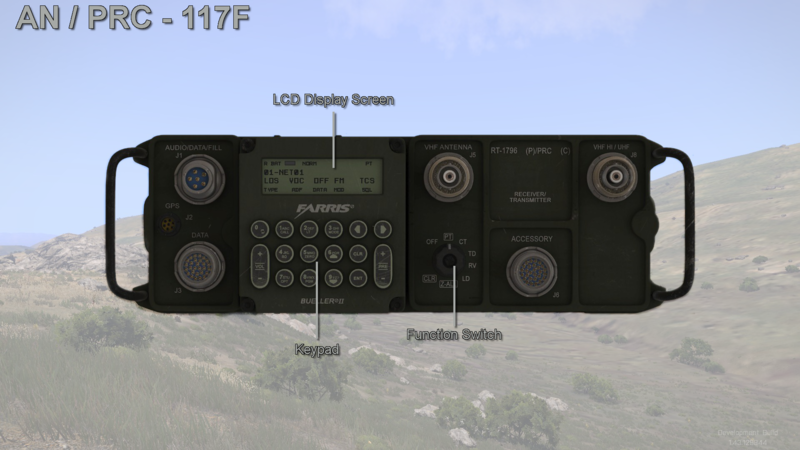 The Farris radio operating system follows a standard across all farris radios for operational programming, usage, and menu navigation. Menus and items are navigated with either the UP-DOWN or LEFT-RIGHT arrows; depending on the menu type. CLR will take you back at any time, and ENT is generally used for saving values. If you use CLR to back out of a menu, those settings are not saved. As you navigate through a series of menus, those values are not saved to the radio until the cycle is complete. Numerical values are entered with the number pad, clicking left and right to navigate the digit. Alphanumeric values are entered the same way, by repeatedly pressing the given button and cycling through letter options. Upon pressing a different button, that value is entered and the menu is moved to the next digit. 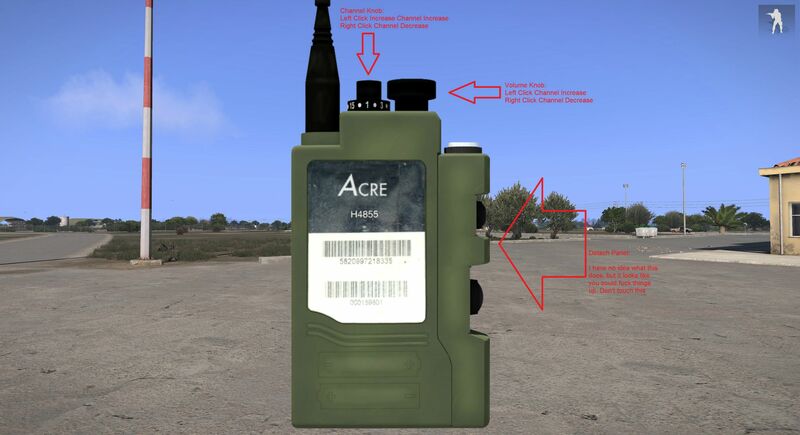 There are no documentation on this Radio so if anyone knows/finds out how to do other things please contact me and I will add it to the guide. If anyone has anything to add please reply to this thread and I will add it to the guide. How come we are using 152 instead of the 148? 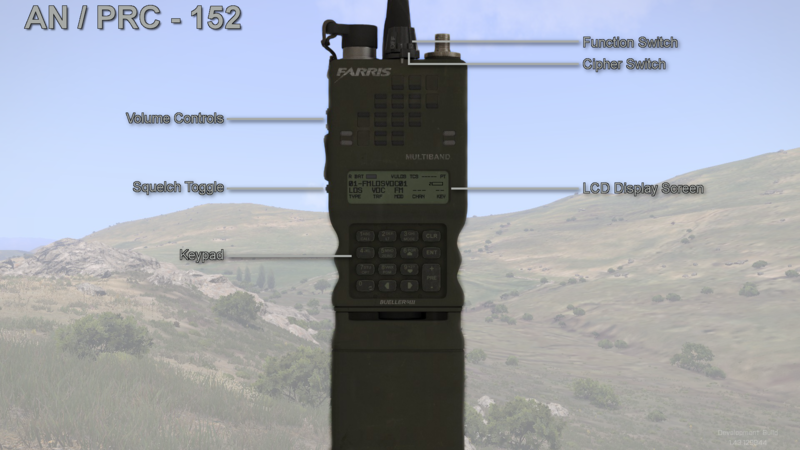 I might be wrong but i thought the 148 was a standard radio for nato forces, correct me if im wrong though. Does ACRE2 have the voice drop off settings like it used to in A2 ACRE? I.e. to whisper and talk to someone next to you, you'd have to whisper, and if you wanted to talk to someone at the end of the hangar, you'd have to physically shout in your mic? Dewch ymlaen, ddim ond y gorau ydy dda ddigon. Bringing the pain since 2013! Why did you switched to ACRE2 insted of using TFAR?